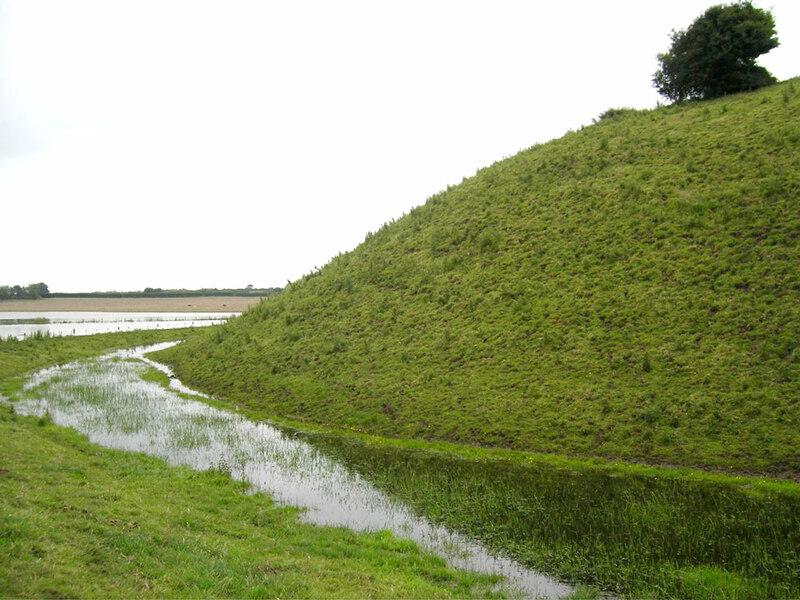 The 45 foot high motte was constructed in 1086. 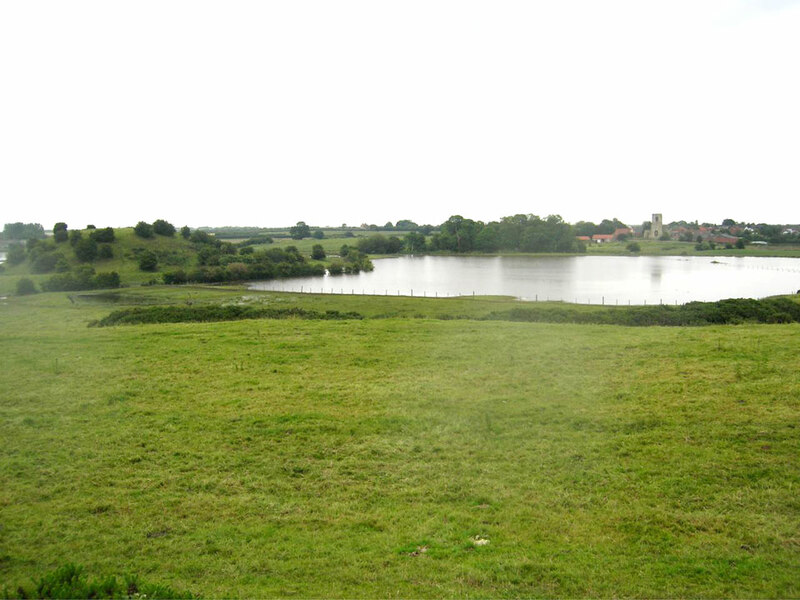 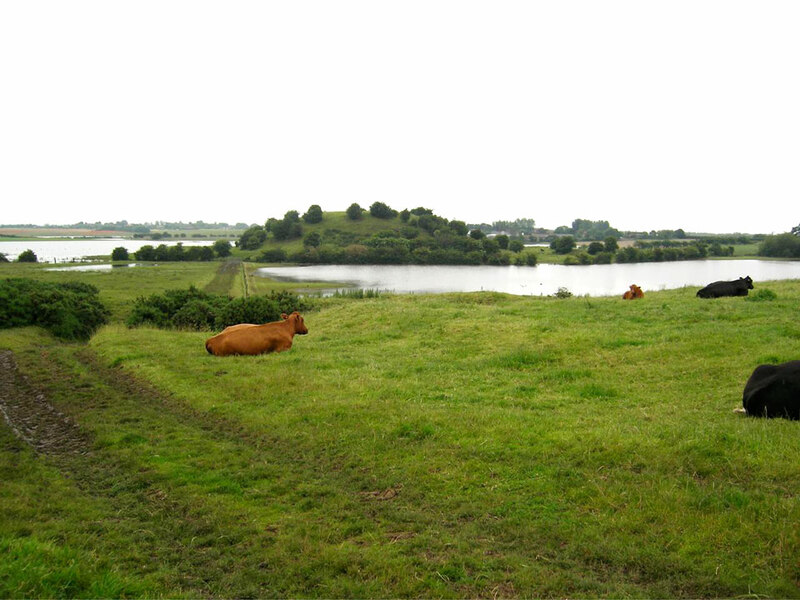 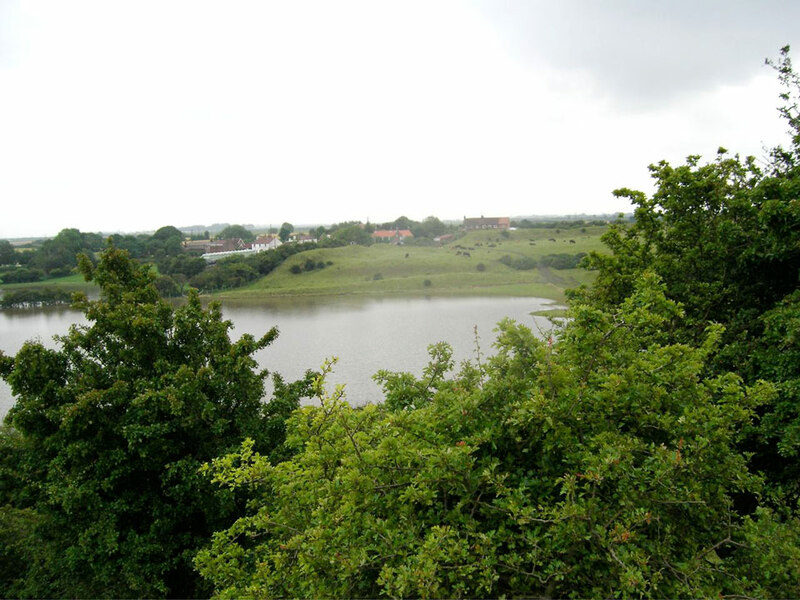 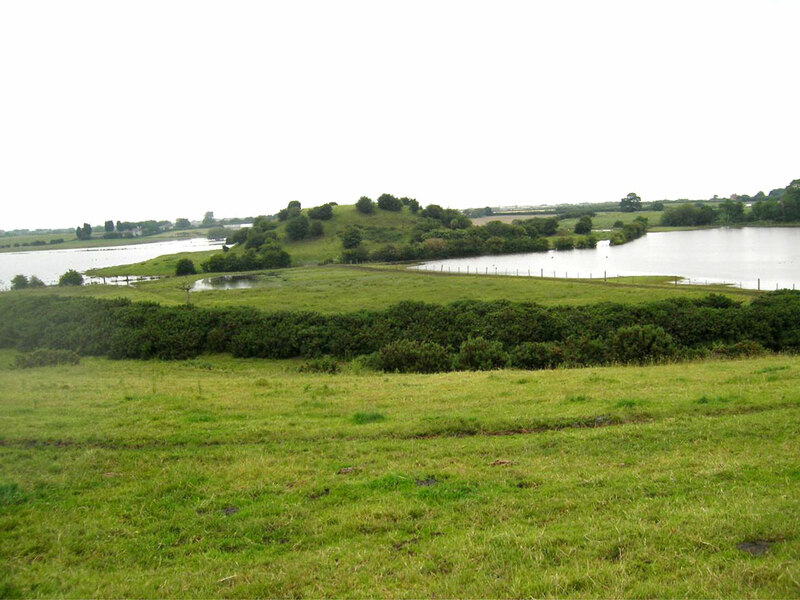 Much of the castle was surrounded by a lake and the bailey had to be reached across a wooden causeway over marshland. 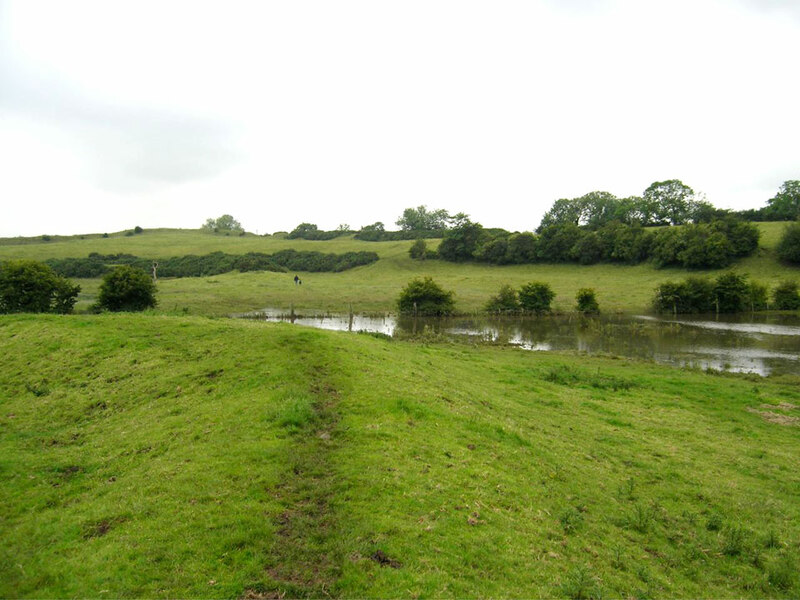 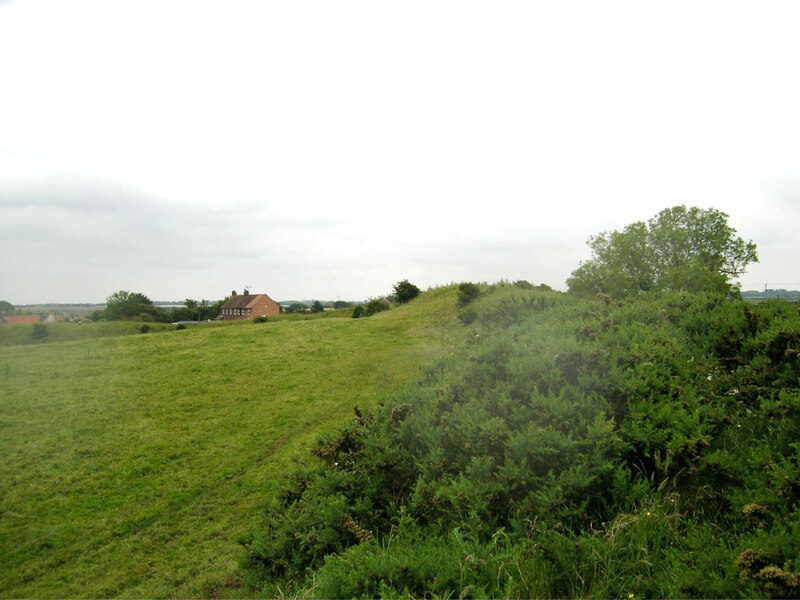 It was destroyed after the Civil War in the middle of the 13th century but earthworks remain, and some traces of stone on the motte. 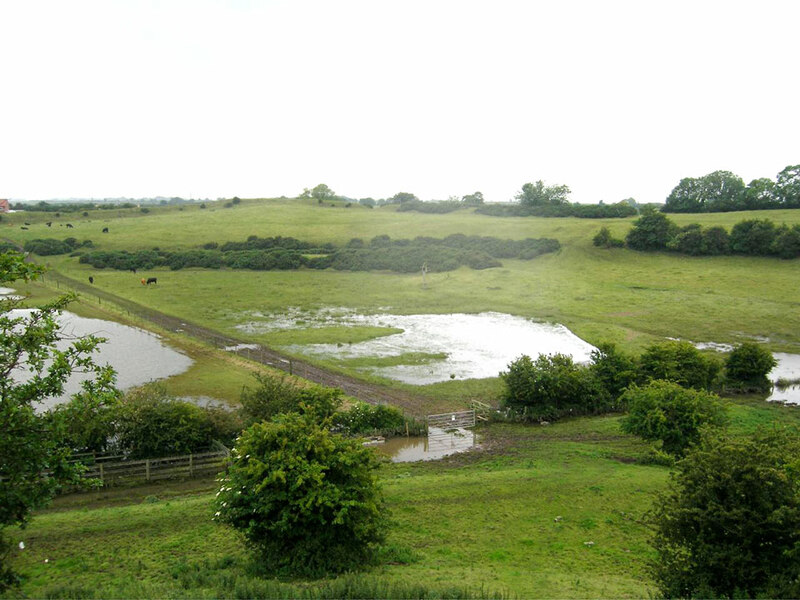 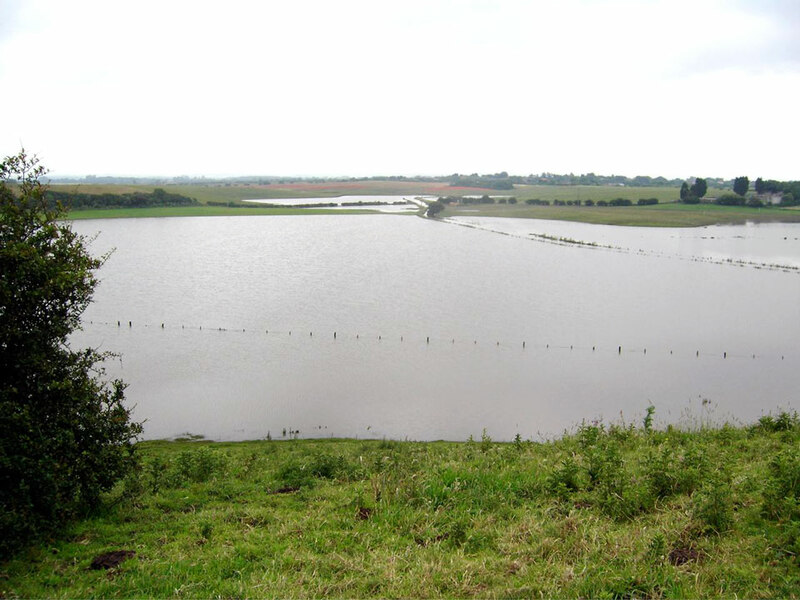 During the abnormal rains in June 2007, the site flooded giving a good picture as to how the area originally looked.